Asia’s Best Tournament For Club Golfers Reaches Over 300 Signups! 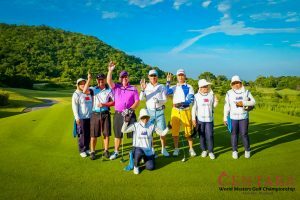 Hua Hin, Thailand, 25 January 2018 — The fifth installment of Thailand’s biggest and most enjoyed tournament for club golfers, the Centara World Masters Golf Championship, returns to the popular beach-side resort town on Hua Hin in Thailand from 10 to 16 June 2018. Such is the event’s popularity, more than 300 golfers have signed up for the tournament since registrations opened 3 months ago. Testimony to the events worldwide appeal, golfers from Australia, New Zealand, Dubai, USA, Canada, Great Britain, South Africa, India, Pakistan, France, Switzerland, Hong Kong, Malaysia, Philippines, Singapore, Vietnam, Taiwan, Papua New Guinea and host country Thailand have already confirmed their participation. Centara Grand Hua Hin Beach Resort & Villas hosts spectacular welcome and presentation dinners as well Asia’s biggest 19th hole with entertainment events every night of the week-long tournament. Centara Hua Hin’s old world charm, beachfront location, modern facilities and Thai hospitality makes it a popular place to stay. The hotel is 90% sold-out, with a number of room types already on waitlist. 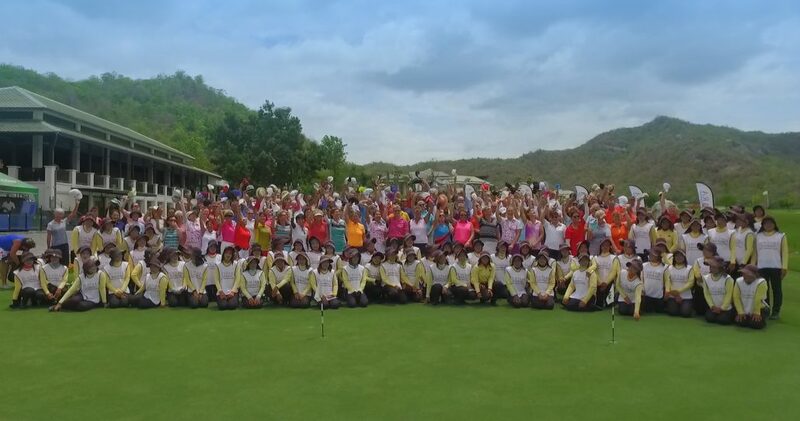 Open to golfers aged 35 and over, the Centara World Masters is played in age and handicap divisions for both men and women. Playing and competing with golfers of a similar age and standard is part of the tournaments winning formula. Golfers will play Hua Hin’s four premier golfing resorts for this year’s 72 hole championship. Asia’s number one ranked course, Black Mountain will headline the tournament along with perennial favorite Banyan will headline the course rotation. With a major new pipeline now delivering unlimited water to neighboring Springfield Country Club and Lake View golf courses, these impressive layouts now boast lush, emerald-green fairways where you never get a bad lie. “Severe drought over the past couple of years had really impacted these two courses that were dependent on mother nature for watering. It’s amazing how lush both the courses are now that they have regular water supply. Last time I inspected Lake View the fairways had major cracks down the middle of them and we had to play ‘tee-up’ at Springfield. Now these courses have the lushest fairways and your ball sits up perfect. The transformation in course conditioning is amazing and I just know golfers will really enjoy playing these courses.” Mark Siegel, Managing Director, Golfasian. Tournament veteran Daryn Kitchener from Brisbane Australia is among the first to register every year. “I travel to a lot of tournaments around the world and it just doesn’t get any better than the Centara World Masters. Organizers look after absolutely everything for you. Buses take you to and from the courses, you finish your round and leave your clubs on your cart and they just appear on your cart at the next course – cleaned! The tournament is a collaboration between Australian based Go Golfing and Thailand based Golfasian. Go Golfing pioneered World Masters tournaments 23 years ago in Australia and now take more than 13,000 golfers each year to 24 countries for their tournaments and hosted group golf tours. 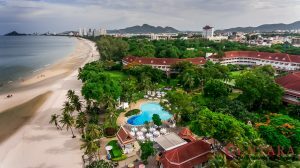 Golfasian have forged an enviable reputation as the trusted company for golfers to book with when travelling to Thailand, Vietnam and other parts of Asia. Each year both companies are awarded as the best golf tour operators in the Asia Pacific region at the World Golf Awards. https://edge.thailandworldmasters.com/wp-content/uploads/2018/01/cwm-group.jpg 859 1633 7eF00OdDNm https://www.thailandworldmasters.com/wp-content/uploads/2013/04/cwmgc-logo.png 7eF00OdDNm2018-01-25 17:18:492018-01-26 12:20:36Asia's Best Tournament For Club Golfers Reaches Over 300 Signups!